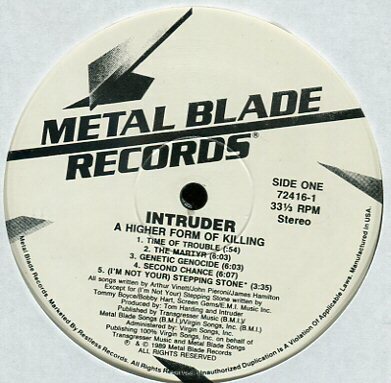 Intruder may not have been Nashville’s first but they were definitely the city’s best-known thrash band. 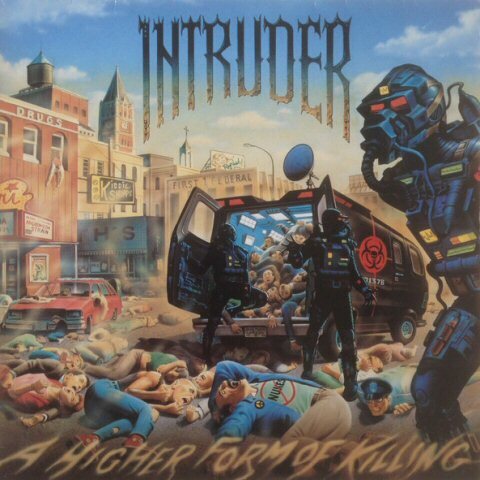 Veterans of various local punk and metal outfits, Intruder built upon the speed metal sound pioneered by bands like Metallica and Megadeth, adding elements of what would later become known as “progressive metal” to their unrelenting aural attack. 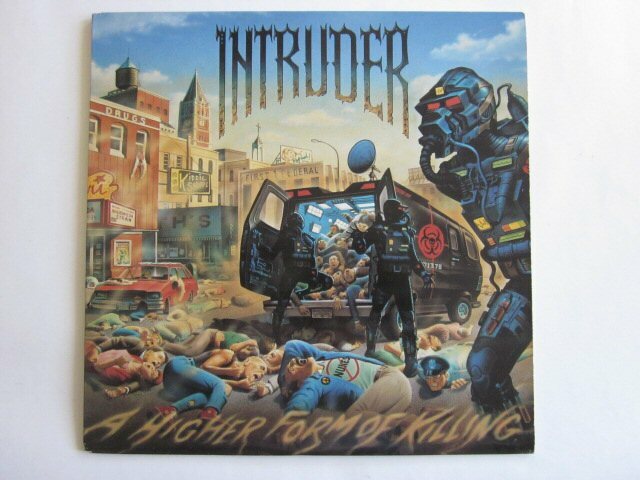 Fueled by the phenomenal virtuosity of guitarist Arthur Vinett, the throaty growl of vocalist James Hamilton, and the songwriting skills of drummer John Pieroni, Intruder built a large cult following across the United States and in Europe on the strength of their brutal live performances. 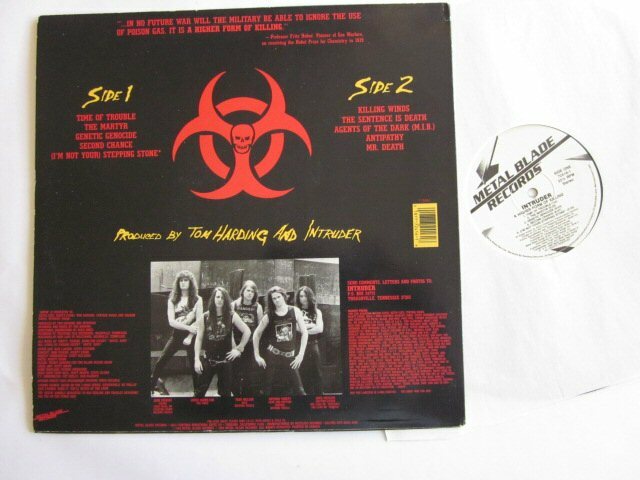 A Higher Form of Killing, the band’s second album and their first for Metal Blade Records, picks up the pace pretty much where Intruder had left off with their self-produced debut, Live to Die. 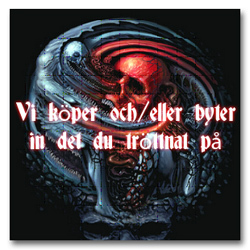 Taking its title from the groundbreaking 1982 book on chemical and biological warfare by British journalists Robert Harris and Jeremy Paxman, Pieroni’s lyrics on A Higher Form of Killing mix a high-tech doom-and-gloom worldview with a science-fiction landscape that has much in common with Voivod. “The Martyr” compares Middle Eastern suicide bombers with radical Christian fundamentalists, “Genetic Genocide” touches upon DNA therapy a decade or so before its widespread use, and “Killing Winds” explores the use of chemical weapons on the battlefields of Europe. The high point of A Higher Form of Killing, however, is a manic cover of the Monkees’ hit “(I’m Not Your) Stepping Stone,” the pop/rock chestnut revved up and delivered with all the subtlety of the business end of a sledge-hammer. A strong collection of chainsaw speed metal, A Higher Form of Killing put the so-called band from “Thrashville” on the musical map alongside genre giants like Nuclear Assault.